child learned how to express her likes and dislikes in Italian. Using indirect object pronouns, she can talk about other people’s likes and dislikes. Remember that the literal meaning of “mi piace/ mi piacciono" is “it pleases me/ they please me," so the pronouns used with this verb are indirect object pronouns. It is not necessary to belabor this grammatical point when teaching Italian to a child, but you should know it yourself in case a question comes up later, when learning about subject pronouns. We will continue to use familiar color and food vocabulary in this lesson. Since the verb “piacere" usually only appears in the third person singular and plural forms, your child can become comfortable with some Italian pronouns before introducing the idea of verb conjugations, and she can learn to make increasingly descriptive sentences about the people in her life. Here are Italian indirect object personal pronouns with their English translations and phonetic pronunciations. You can teach them to your child verbally by saying the English word and having her say the Italian equivalent, then saying the Italian word and having her say the English equivalent. You can also have her memorize the list or use flash cards if she’s comfortable reading. Please note that unlike English, Italian has three words for “you": formal, informal, and plural. If this seems like too much for your child to process at once, just teach the informal, singular “you" (“ti"), since that is what you should be familiar with from the previous lesson. Ti= (to/for) you (informal) "TEE"
Le= (to/for) you (formal) "LAY"
Review some questions and answers from the previous lesson with “mi piace/mi piacciono," for example, “Ti piace il blu? Si, mi piace il blu." (“Do you like blue? Yes, I like blue.") and “Ti piacciono le pere? No, non mi piacciono le pere." (“Do you like pears? No, I don't like pears."). Ask your child to think about the likes and dislikes of some family members and friends. Have her think about some foods and colors people like or don’t like, and make a short list. Make sure there are both male and female people on the list so you can practice both pronouns. If your child is not reading yet, use some photographs of friends or family members and pictures of food instead of a list. Point to one person and a food or color to ask if he or she likes it. For example, ask “Gli piace il pollo? No, non gli piace il pollo." (“Does he like chicken? No, he doesn’t like chicken.") and “Le piacciono il rosso e il giallo? Si, le piacciono il rosso e il giallo." (“Does she like red and yellow? Yes, she likes red and yellow."). To ask questions with people’s names, use the preposition “a" (“to") before the name, for example, “A David piacciono i fagioli? Si, gli piacciono i fagioli." (“Does David like green beans? Yes, he likes green beans." and “A Susan e Mama piace la bistecca? Si, gli piace la bistecca." (“Do Susan and Mom like steak? Yes, they like steak."). Make sure you invite the child to ask you questions as well. This will give her a little control over the subject matter to make it more interesting for her, and it will give her a chance to practice both question and answer forms. Try deliberately making some mistakes in your answers to give her a chance to correct you. She will enjoy getting to be the “teacher," and correcting others will help her learn. For further practice, involve the child in planning your meals. It is OK to mix Italian and English for sentences you don’t know, and say something like, “I’m thinking of cooking green beans and chicken for dinner tonight," then the child can tell you in Italian what family members like. Or, you can plan an imaginary party together, and talk about what food you should make that everyone would enjoy, or what color gifts different people might like to get for their birthdays. 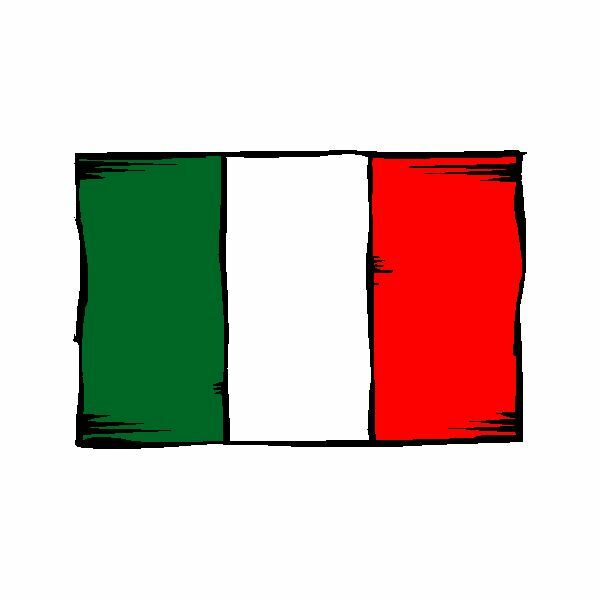 This series of articles gives parents a fun way to teach Italian to kids at home. Each lesson has a small grammar point, some new vocabulary, and practice suggestions. Links to Italian media files are also provided.